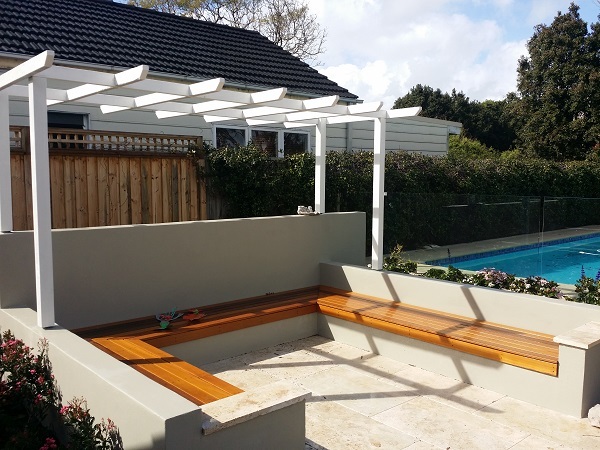 Paving Northern Beaches – Garden Arbour, bench seating. Timber decking, English style Cottage garden design. Travertine Pavers. Paving Company Northern Beaches. Landscape design and Landscape Construction.